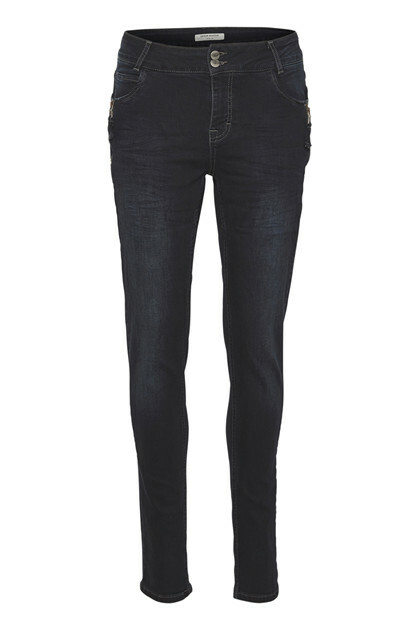 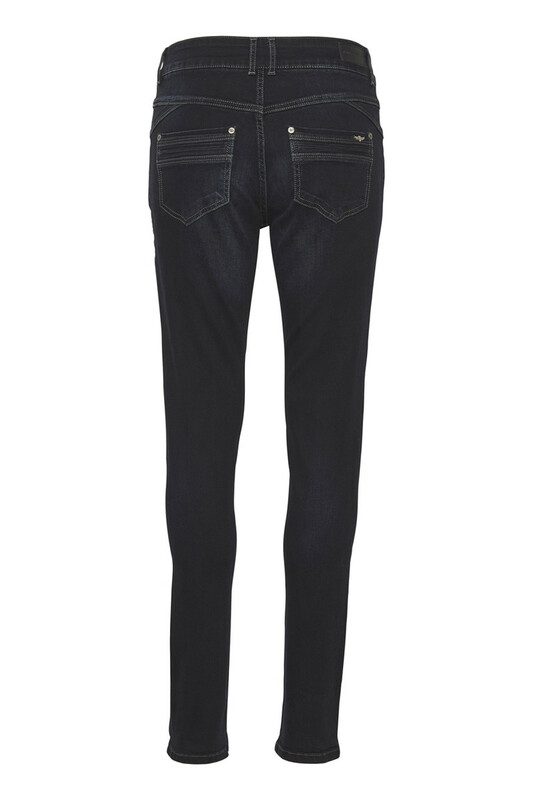 Classic curved fit jeans in a nice dark blue wash...for you who likes the simple look on your jeans. 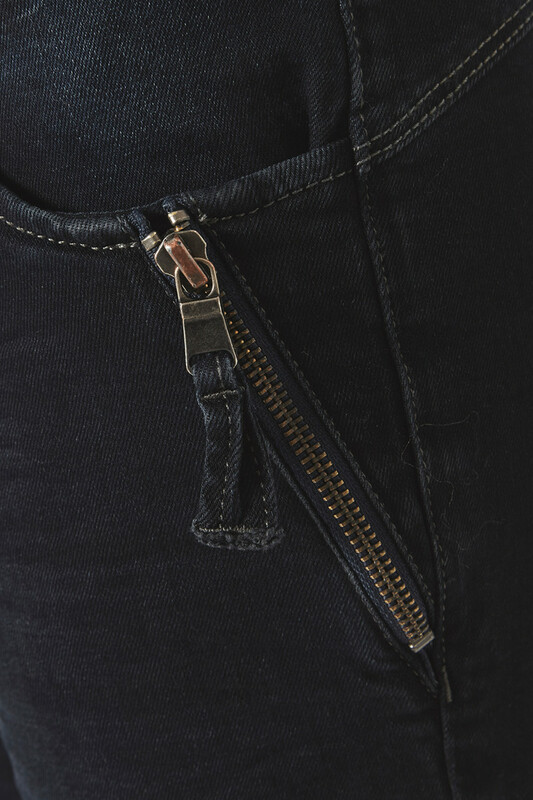 Nice zipper detail at the front pockets. Style with a blazer, knit or leather jacket.